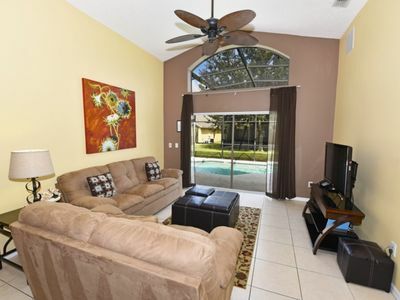 Disney Resort Home - Perfect for Large Groups! 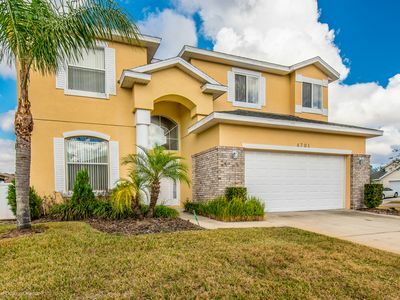 Nestled 2.5 miles outside of the Walt Disney World's gates, this incredible 6-bedroom, 3-bath vacation rental property easily facilitates a quintessential Kissimmee experience for up to 12 guests! 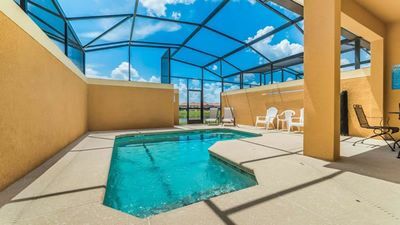 Not only does it feature an incredible location just minutes from your favorite theme parks, but it also has its very own pool and spa along with all of the desired amenities of home. 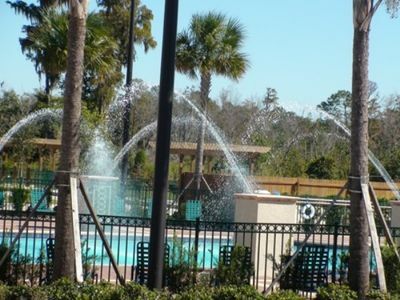 Additionally, you'll enjoy access to the community's facilities including a pool, movie theater, clubhouse, and more! 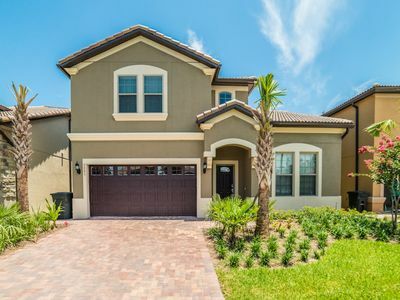 Boasting 2 full living areas, this 2,830-square-foot home provides space for everyone to relax in absolute comfort, making it a true Kissimmee sanctuary. 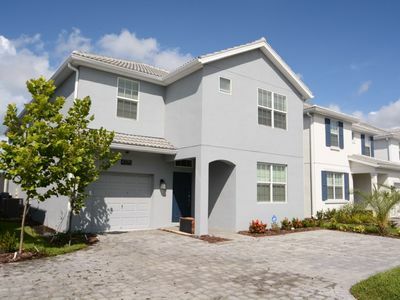 Keep up with your favorite shows on the flat-screen cable TV in the light and airy family room or disconnect with a new novel in the formal living room - where cool blue furnishings are perfectly contrasted with the soft yellow walls. Don't linger inside for too long! 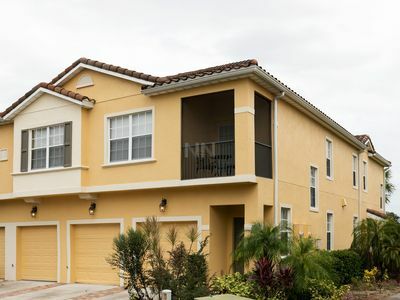 Take advantage of the home's best features, waiting for you in the luxurious backyard lanai, which is the largest outdoor area in the neighborhood. 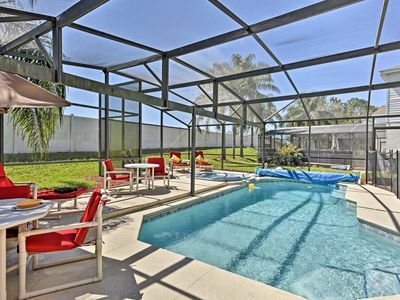 A pool, spa, and outdoor furniture create the perfect vacation environment where you can kick back and just be yourself. 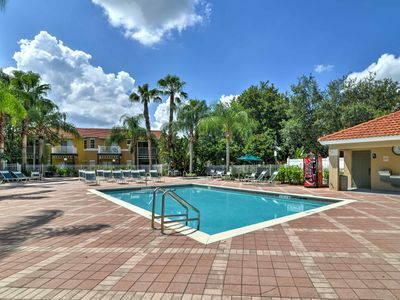 The pool even features a safety net for toddlers, making your pool time worry free! While the spa is jetted, it will stay at the same temperature as the heated pool. 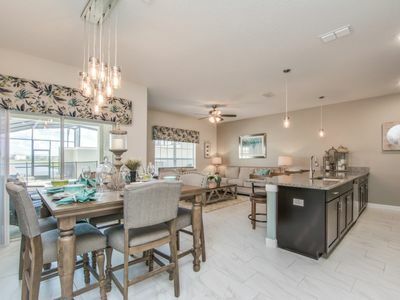 When you grow hungry, snack on hors-d'oeuvres at the 3-person bar while the chef of the group cooks up a storm in the fully equipped kitchen. Modern appliances and ample cookware make home-cooking on vacation a joyful experience! Once everything is ready, gather the bunch around the formal dining table for 6 or feast al fresco on the sun terrace. 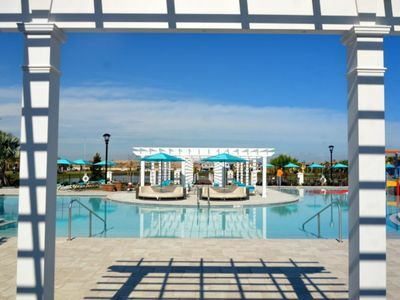 In the evening, catch a new flick at the community's movie theatre or dive into family-friendly fun in the clubhouse game room with a pool table, arcade games, and more. 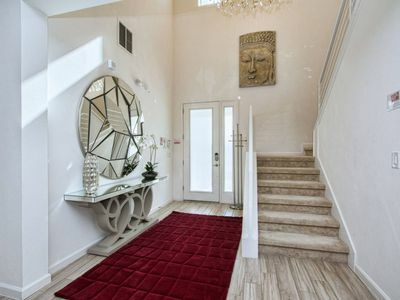 The home also features its own, newly finished entertainment room boasting air conditioning, custom lighting, a pool table, theater and bar seating, a 75" 4K UHD Smart TV with a Blu-Ray player and built in WiFi, and a 5.1 Dolby Digital Plus, 6 speaker HD surround-sound system with Bluetooth pairing. 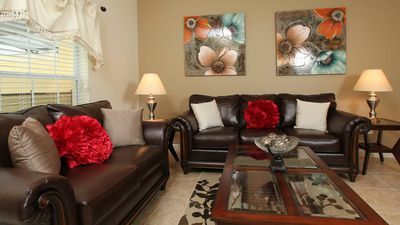 You'll never have to leave the comfort of home for endless entertainment! Retreat to the master bedroom for a peaceful night's sleep in the king-sized bed. 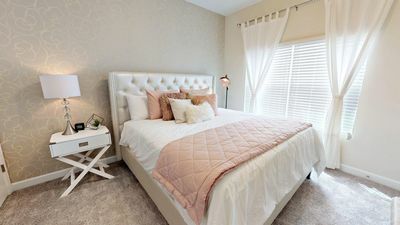 Additional guests will find comfortable accommodations in the second and third bedroom while the tykes of the group will sleep soundly in one of the 3 bedrooms featuring twin beds. 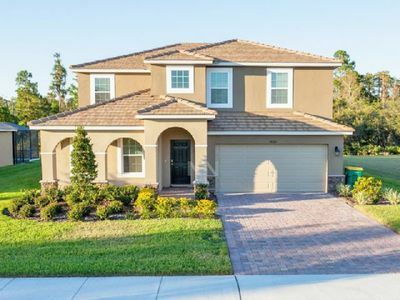 Situated in the prestigious community of Windsor Palms, this elegant home boasts an idyllic location just minutes from numerous theme parks, family-friendly entertainment, and metropolitan luxuries like shopping and dining! Don't hesitate to head to Disney World! Grab your tickets for a discounted rate from the clubhouse, jump on the shuttle for a small fee, and voila, you're there! Join in on the fun with your kiddos as you ride roller coasters, splash through exhilarating water rides, and munch on classic theme park bites. 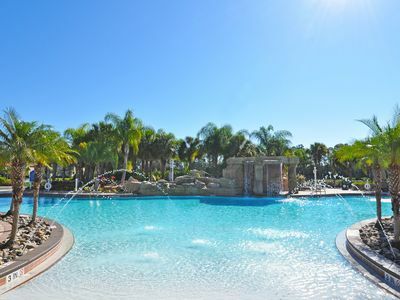 Make sure to check out Magic Kingdom Park, Epcot, and Animal Kingdom during your stay - all located within 15 miles of the property. Venture 25 minutes north to experience the thrills of Universal's Islands of Adventure! Sip butterbeer as you explore the magical Wizarding World of Harry Potter or lose your voice on the popular Hulk roller coaster. Slow things down with a scenic game of golf at Mystic Dunes Golf Club, located just across the street. 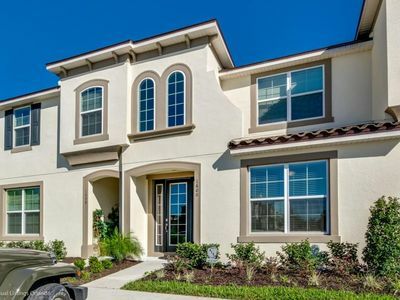 Additional golf courses such as Celebration Golf Club and Falcon's Fire Golf Course are both found within a 16-minute drive of the property. For the shoppers in the group, venture to Orlando Vineland Premium Outlets, just 22 minutes away, where you can fulfill your retail therapy! Afterward, treat yourself to a bite out to eat at one of the many restaurants in the area. 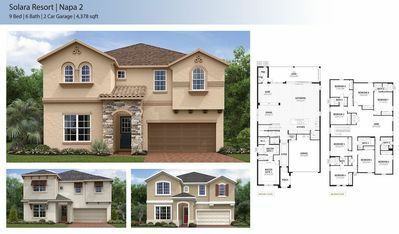 - This home now features a newly finished entertainment room with air conditioning, custom lighting, a pool table, theater and bar seating, a 75" 4K UHD Smart TV with a Blu-Ray player and built in WiFi, and a 5.1 Dolby Digital Plus, 6 speaker HD surround-sound system with Bluetooth pairing! 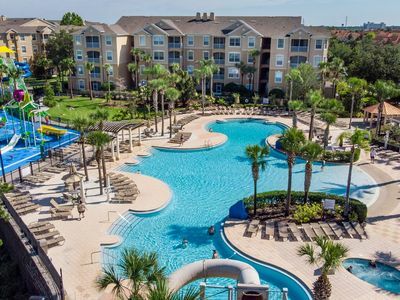 - Access to community amenities including a pool, spa, fitness center, clubhouse with game room, discounted Disney World tickets, Disney World shuttle for a small fee, movie theater, tennis courts, volleyball court, playground, picnic area, and much more! 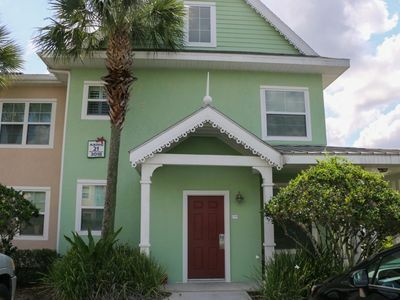 - Incredible Kissimmee location- just minutes to Disney World, with numerous other theme parks along with great shopping and dining options nearby as well! 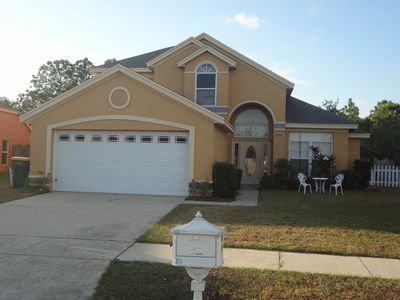 Kissimmee Townhome w/ Pool Access- Mins to Disney!